I never watched anime in cinema before, so this is my first time watching one, although it's a 3D anime. Saint Saiya Movie is just one of the movie available in Japan Film Festival campaign, held at Golden Screen Cinema (GSC) Kuching. At that time only two Japan Film available, the other is Initial D.
I choose to watch Saint Seiya because I don't like the Initial D art style (even though it was renewed in the new movie) and it's only part 1. I don't know how many parts the movie are, (It says Legend 1) I just don't like movies in parts. Sequel is different. The story starts with Aiolos being attacked by other saints while carrying some case. He crashed on Earth and later found by a man. Turns out inside the case is a baby. Aiolos tells the man to take care of the baby before he's gone. 16 years later, the baby, now a beautiful young girl, being told by her guardian (servant of the man who found her) that she is the re-incarnation of the Goddess Athena and she is in danger. Later they got attacked by bad saints, then a guy named Seiya comes to rescue, who turns out to be a saint who will be protecting her. Oh wait I forgot. Her name is Saori Kido. Seiya show off his power, and then 3 other saints joined him, defeating the bad saint. So basically, its a good saints vs bad saints. They explained the whole story to Saori, most importantly about the corruption in Sanctuary. Since Saori, the Goddess Athena is on Earth so the one on the Sanctuary must be a fake. They also suspected the Pope of Sanctuary is up to something. So they must bring Saori to the Sanctuary to solve this. Of course the path is not easy. They have to get through 12 temples, based on the horoscope, to the Athena temple. And each temple is guarded by a Gold Saint. Seiya and the gang have no match against them, thankfully some of the Gold Saints trusted them and helped them on their journey. Also as the main characters, Seiya and the gang gets stronger after each fight. On the final temple they fight with the Pope, with the help of the other Gold Saints. Seiya receives some powers from Saori, and fight the final battle alone. He transformed into Gold Pegasus and of course, wins. Movie ends with the Sanctuary is now peaceful again with the real Athena (Saori) take charge. The animation is great, with superb details on the character models. While the original manga/anime is 40 years old now, the movie took place in the modern setting, so their costume got a major overhaul. The saints got a much heavier, like a steel armor costume that lights up in the dark (when they're fighting). Their headwear is now being replaced by an auto-wear full-face helmet. Saori wears a modern clothes, with a digital watch that always displays 88:88. The sound, I like the BGM. It feels like I'm watching a Hollywood movie. I also like the SFX of their armor hitting each other, that steel sound. Everytime they walk or moving, there's that 'clank-clank' sound. It feels realistic. 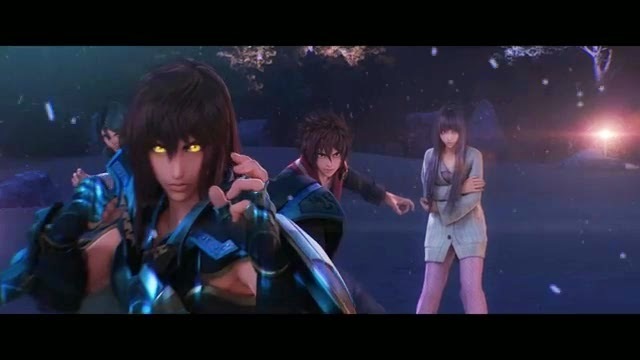 It's not a realistic, Final Fantasy type 3D animation, Saint Seiya Movie still have those goofy anime type expression. But it is packed with action from start to finish. I never watched/read the original so I don't know any part that they left out, I think Toei Animation did a great job fitting all of the story in a 1 hour 30 minutes movie. The theme song/credit is from Yoshiki from X-Japan. A slow ballad song, with Yoshiki's trademark piano style (you'll know when you hear X-Japan songs). Beautiful english song with vocal from Katie Fitzgerald of Yoshiki's other band Violet UK. 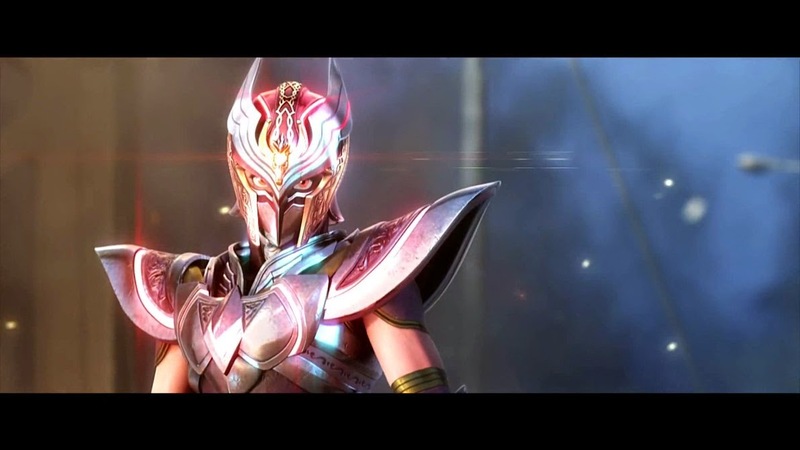 Overall, a great movie if you want to know about Saint Seiya. 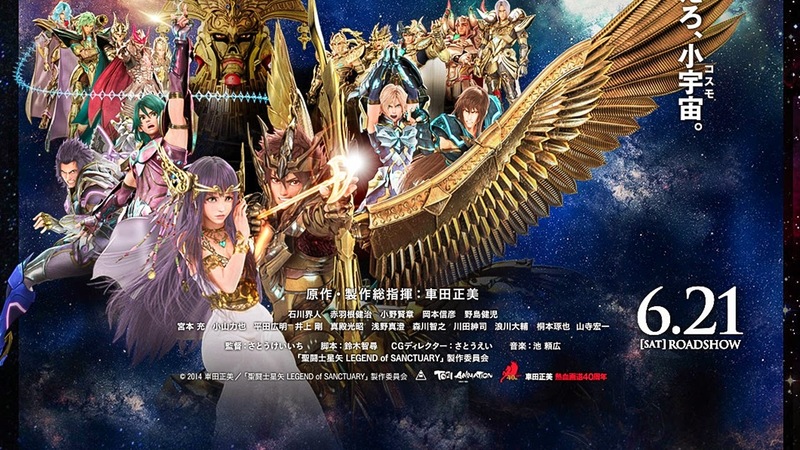 Think of it as a remake of the original Saint Seiya anime. I give it 4 out of 5. Highly recomended.